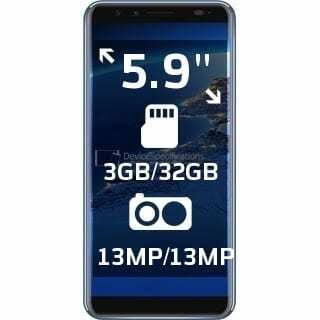 Geecoo just released the Geecoo G5 yesterday, this is coming two months after releasing the Geecoo G6 flagship smartphone. The new device comes with reduced specs compared to their flagship device. Packing 3GB of RAM, 32GB internal storage and retails for a cheaper price. However, the company doubled the rear and selfie camera here, as the Geecoo G5 comes with four cameras. Want to know more? Stay with me. What is Geecoo G5 Price and Availability Status? A combination of Metal and Plastic here, it looks nothing short of exquisite just like the G6 smartphone. To be honest, Geecoo knows exactly how to make these beauties. The symmetrical aesthetics going on at the rear is simply unique, with the dual-LED flash starting a vertical train. 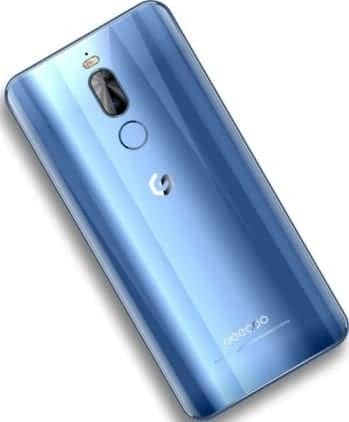 The dual rear camera follows suit, before the fingerprint scanner then the Geecoo logo rounds it up, all at the top corner. It sports curved sides and edges as well and could easily pass off as a Samsung Galaxy S8 look-alike. In terms of coloring, it’s available in Black and Blue colors only. Lets turn over to the front now, shall we? Geecoo isn’t new with the bezel-less display, they did it perfectly well with the G6. Trying it in a more affordable smartphone looks perfect, the G5 sports super minimal bezels and curved display. The top bezel houses the usual features, like the dual selfie camera, speaker grille and the rest. The bottom bezel also came out to play as well, while the narrow bezels are almost non-existent. The 5.99-inch HD+ IPS capacitive touchscreen doesn’t have a mind-blowing quality though. Boasting of just 1440 x 720 pixels in resolution and 268.78 pixel per inch density offering normal and clear visuals. 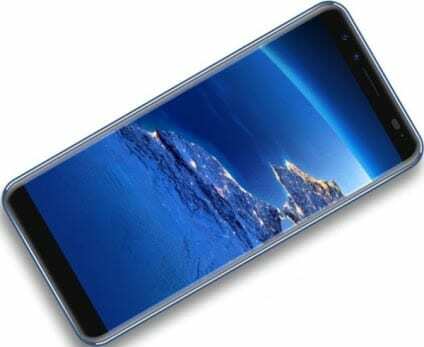 Behind the screen is the MediaTek MT6750 with an Octa-core processor and 64-bit CPU architecture. The 8-cores of processor reaches a.maximum speed of 1.5GHz and has a 28nm process technology for a smooth ride. The ARM Mali-T860 MP2 is in control of graphics here, it comes with 2-Cores and runs at 520MHz. While for multitasking, there’s 3GB of RAM space available, with a memory speed of 667MHz. Furthermore, you can also store up files as well on the 32GB internal storage space available. If it isn’t enough at some point, you can easily upgrade further up to 128GB with a memory card. The G5 smartphone also runs on Android 8.1 Oreo out of the box. Explore your photography options with the four cameras on the Geecoo G5. At the rear, the dual 13MP + 0.3MP shooters cn capture 4K resolution images. The cameras come with a dual-LED flash which is just on top of it, plus other features as well. With the G5, you can take photographs with 4160 x 3120 pixels in dimension and record videos of 1080 pixels at 30 frames per second. For selfies, there’s another 13MP + 0.3MP dual selfie shooters that is perfect for group selfies. Powering the Geecoo G5 is a 3920mAh Non-removable Li-Po battery with fast charging technology. With the fast charging feature, it shouldn’t take more than 2 hours to fully charge up the battery from 0% to 100%. The Geecoo G5 is available on Shopping stores starting from $149 (N40,000) to $199 (N60,000). Click on the links above to view the latest Geecoo G5 price & availability. We now are having more phones coming out with better specs and upgraded features. Though, at a tentative price of N60,000, I can’t afford this beauty. I know the price would be a little more than this when it gets here. But, I really love everything about it.